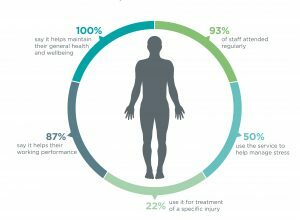 The Health Work Wellbeing study in collaboration with PriceWaterhouseCooper identified 'for every £1 spent, organisations recovered £4.17 in programme benefits' as a minimum. Body Mechanics is here to help your business and your employees fulfil their potential. Body Mechanics Remedial is a UK based corporate health and wellbeing company. 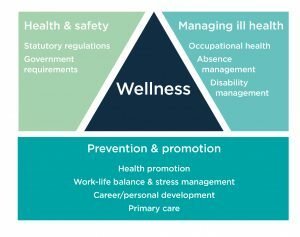 We work alongside you to create and deliver on-site health and wellbeing programmes to fit your employees and business.